These types of cases are known as “dram shop” actions and in Texas, the applicable law states that liability can result when intoxicating beverages are sold to someone who is “obviously” intoxicated to the point of being a danger to himself or others and the intoxication later causes injury to someone other than the intoxicated person. For example, let’s assume Dan stops by his favorite bar on the way home from work on a Friday night and has way too much to drink. Benny, the owner and bartender, sees that Dan is very drunk but continues to serve him shots. Benny might be concerned about Dan but doesn’t cut him off. Later Dan gets in his car, gets on the interstate going the wrong way and gets into an accident that injures both Dan and another car accident victim. In this scenario the car accident victim would have a valid case against both Dan, the drunk driver and Benny, the bartender. 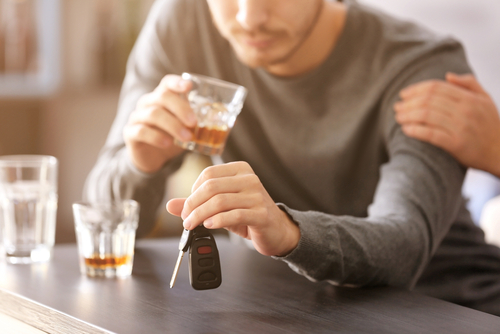 The experienced injury lawyers at Sigmon Law PLLC will maximize the potential action against the bar and the drunk driver to acquire fair compensation for the injuries you have received. Sigmon Law PLLC makes sure to complete a thorough analysis of all possible claims before recommending a course of action. If an intoxicated person has hurt you or a loved one, don’t settle any injury case before consulting with a skilled Houston personal injury lawyer from our office. Contact us today!